Kirby's first 3-D adventure is also his Nintendo 64 debut, and it finds the always-versatile hero battling a new enemy called Dark Matter. Dark Matter is after a distant land's powerful crystal, but a young fairy named Ribbon attempts to save it by escaping with the gem to Dream Land. Now the crystal has been broken, and it's scattered around the world. 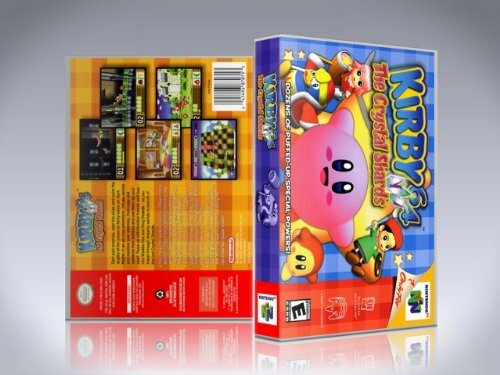 Take control of Kirby and help him journey a... See morecross six worlds, battling a wide variety of enemies and challenging bosses, as he tries to collect all 100 pieces of the shattered crystal.